My last few days of Austin’s SXSW Film Festival featured stories of parentless children in dangerous, violent worlds. Not only is that a theme of at least three of the flicks in this dispatch, but Andrew Haigh’s excellent “Lean on Pete.” Why are the artists coming to Austin with stories of a potentially lost generation? Looking at the headlines about the increasingly anxious, angry state of the world makes it pretty easy to see why that would be reflected in our independent cinema. Sadly, only one of these films is a true standout, although it’s a theme that’s sure to be explored more as the year progresses. The best of the bunch is A.J. Edwards’ striking “Friday’s Child,” starring Tye Sheridan, Imogen Poots, Caleb Landry Jones, and Jeffrey Wright. Edwards was the editor of “To the Wonder” and worked on “The New World,” and the influence of Terrence Malick on his style was evident in his debut, “The Better Angels.” If that film owed more debt to Malick’s period pieces, “Friday’s Child” reflects the style we’ve seen in films like “Knight of Cups” and “Song to Song.” It has a lyrical, semi-improvised, poetic approach to storytelling, although there’s more of a traditional narrative to hold on to here than in some of Malick’s recent films. It’s a mesmerizing piece of work, featuring what is arguably Sheridan’s best performance to date, and a good indication of his range when compared to Steven Spielberg’s “Ready Player One,” the buzzworthy event of SXSW 2018. He may be playing an 18-year-old, but this feels like possibly Sheridan’s first “adult” role and a good sign that his career has many layers left to reveal to viewers. He plays Richie, a teenager who has just “aged out” of the foster care system. Given little guidance now that he’s out in the world, Richie finds a cheap place to live (run by a landlord played by Brett Butler) and works odd jobs to make ends meet. He makes two friends—a bad influence named Swim (Jones) and a good one named Joan (Poots). Filmed mostly in 4:3, Jeff Bierman’s camera swoops at waist level toward his characters in a flowing, lyrical style reminiscent of “Wonder” and “Cups,” but Edwards also knows how to direct his actors within the frame so the film never falls into that gap in which it looks like we’re watching beautiful actors mill around, waiting for something to happen. Sheridan has a coiled intensity of a young man who hasn’t received enough guidance and could make the wrong decision on any given day. Poots’ Joan has recently dealt with tragedy and her body language reflects that, except for when it opens up to Richie. Jones has arguably never been more #onbrand, but his sense of danger really fits the character. This is a fascinating, beautiful movie, one of the best of SXSW 2018. Another teenager on the edge of danger can be found in the title character of Megan Griffiths’ “Sadie.” She is a 13-year-old girl (Sophia Mitri Schloss) who is somewhat obsessed with her father, who has been serving overseas for three years. As several people around her point out, her dad keeps re-upping instead of coming home. He clearly doesn’t want to. In a sense, he’s a deadbeat dad, but he’s doing it in the military. Sadie’s mom Rae (Melanie Lynskey) has come to terms with this, however slowly. It’s been too slowly for Bradley (Tony Hale), who wants to start a relationship with Rae, but that changes entirely when a guy named Cyrus (John Gallagher, Jr.) moves into the trailer next door to Sadie and strikes up a relationship with Rae. Bradley was never really a threat to replace Sadie’s dad, but what about Cyrus? 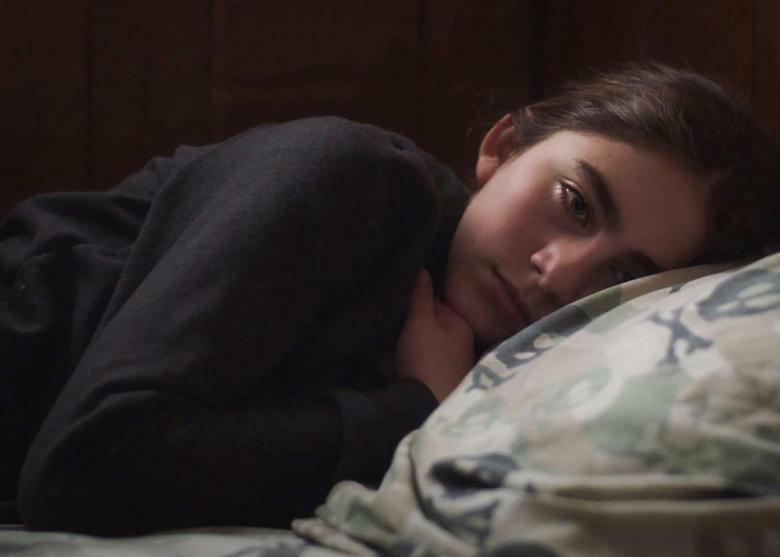 It wouldn’t be a film festival without a dark coming-of-age story, but “Sadie” falls victim to a common problem of the subgenre: believability. It’s through no fault of the cast, especially Schloss, who does everything she can and feels like she could easily have great performances ahead of her, but Griffiths’ inconsistent, manipulative screenplay. To be incredibly blunt: I didn’t buy it. There are minor beats, character-driven choices by the talented cast, that I liked, but the overall narrative, especially its incredibly dark ending, just never rings true. Sadie is an inconsistent character, and that makes for an inconsistent movie. A film with similar narratively frustrating problems is Stacy Cochran’s “Write When You Get Work,” a movie that I like even more than “Sadie” in its minor beats, scene to scene, but that suffers from a similar lack of believability when one considers the entire narrative. A quick, well-structure montage sets the stakes between Jonny Collins (Finn Wittrock) and Ruth Duffy (Rachel Keller). When they were young, they had a hot and heavy relationship that resulted in a child. Cut to almost a decade later and Ruth and Jonny are no longer together, living very different lives on opposite sides of the tracks. Ruth works in admissions at a prestigious New York private school while Jonny lives on the edge of a criminal lifestyle. When Jonny unexpectedly sees Ruth after a mutual friend dies, he decides to work his way back into her life—and borders on stalking her, and then works his way into the life of a high-maintenance woman named Nan (Emily Mortimer), who has children at Ruth’s school and lives in a building for which Jonny knows the doorman. Mortimer’s Nan is something else, the kind of person who can say “I honestly don’t get the Navajo” with a straight face and complains about financial aid possibilities at the school leading to the Board voting to get rid of “all the normal kids.” In other words, she’s awful, but Mortimer is so good at this kind of barbed character that she makes her interesting, and she pretty much walks away with the movie. Wittrock is also strong, knowing when to get out of Mortimer’s way and keeping Jonny from becoming too creepy in his borderline-stalking of Ruth, but his character is inconsistent. Sadly, Keller kind of disappears for too much of the movie, but she’s not bad either. Finally, we have the ambitious “Prospect,” a movie I tried hard not to confuse with “Perfect” or “Profile” at this year’s SXSW when making my schedule (and don’t get me started on “First Match,” “Fast Color,” and “First Light,” all in this year’s program too.) The title actually refers to the way the term would be used in the Old West, as in a prospector looking for gold. Although this prospect happens to be on another planet. Father Damon (Jay Duplass) and daughter Cee (Sophie Thatcher) drop to this remote planet to prospect on a risky mission that grows even more dangerous when they run into some competition in the form of the talkative Ezra (Pedro Pascal). To say that “Prospect” is basically a Western would be a massive understatement—it uses the exact same beats and rhythms as a John Ford film, it’s just that the characters are wearing space suits instead of cowboy hats. While the effort is admirable and there are elements that work, “Prospect” never clicked for me. In could be, in part, because so much of the film features characters literally hidden by their suits, delivering dialogue through what sounds like old-fashioned walkie-talkies. It’s a hideous aesthetic that distracts from what the filmmakers are trying to do. 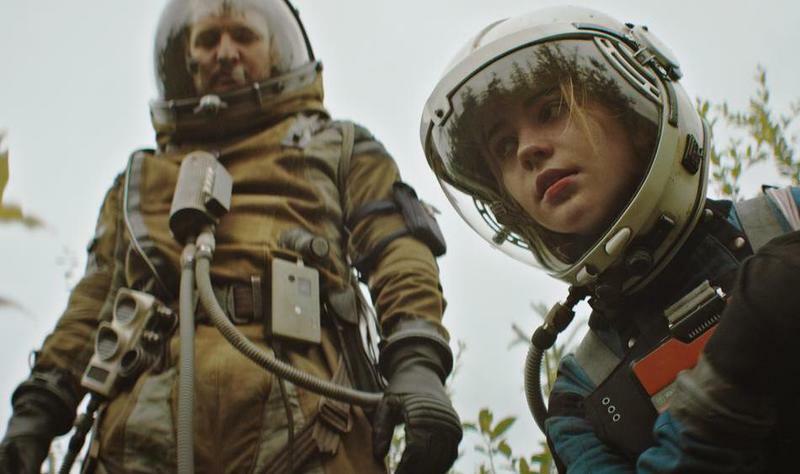 Ultimately, like so many independent films, “Prospect” is a film that falls just short of its ambition, although it’s worth noting that its ambition reaches higher than most.